Be the fastest driver on the kids playroom race track and burn the asphalt under your wheels in one of the best fast-paced car driving games for kids and adults! Drag your car left or right to avoid obstacles and collect pickups on your way to becoming a world go kart racing champion! 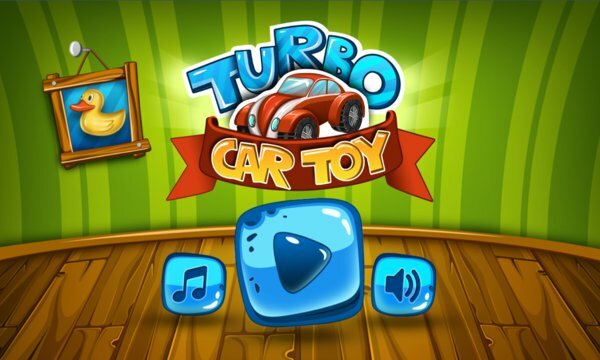 Download Turbo Toy Car Racing to be the fastest playroom driver and feel the rush as you drive your little electric car toy in this endless action packed line changer! Accelerate to the high-speed as you progress on the fastlane in one of the most thrilling car driving simulation games! Ready, set, GO! - Collect batteries to continue intense driving and reach furious speeds! - Various types of obstacles: rubber duckies, building blocks toys, beach balls, and much more! - 3 different playrooms for kids: Drive freely and enjoy the scenery! Are you in for some serious endless arcade racing? If you love to play motorcycle games, if you're a fan of bike racing and rally games, you're in the right place! Drive angry through the kids playroom and collect battery power ups to make the joyride in your GT racing toy vehicle last longer. Don't miss any of the power up batteries, and you'll enjoy the endless ride through the exciting environments! 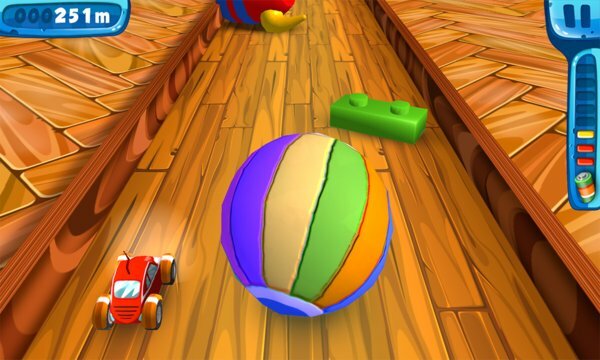 Avoid bouncing beach balls, building blocks, rubber duckies, and other types of barriers on your racetrack. Experience the insane speed boosting as you progress in Turbo Toy Car Racing - fun jet race car game for children and adults. Feel the heat with this epic car racing simulator game free! Feel the adrenaline rush as you reach the top speeds, and cross near obstacles on your way to the glory! Feel what it's like to play one of the best car games ever! If you have the need for some insane speed, or you love to play physics-based bike race games, just get this addictive third person driving game, and become the crazy car driver of our little red racecar toy! If you're looking for some free car racing games for little kids, you definitely must try out our GT supercar super-fun game for boys and girls! Test your driving skills and try not to crash into tricky obstacles along the racetrack. Feel like a superhero in some action-packed racer movie, perform unbelievable stunts, and be as fast as lightning to win the rally! They say that every story has an ending, but there's no finish line in this super-fun arcade racer game, and you can race as long as you want to in this extreme endless car driving simulator. Get ready for the most intense driving experience, most stunning visuals, and a completely new simulation of speed. Turbo Toy Car Racing is here to show you what some serious speeding looks like! Hear the engine of your GT toy car roars under the hood, and be the fastest driver in the world!